Bikini is a creamy, slighty dusty, salmon coral polish. I found bikini's formula a little thicker than the usual Dior vernis, but the application was effortless (as always), smooth, and without streaking. One coat gave my nails a lovely jelly-like finish; whereas, two coats left me with a gorgeous glossy opaque finish. Bikini is the perfect summer coral, and would look AMAZING on anyone and everyone! Your nails should not be without it!! 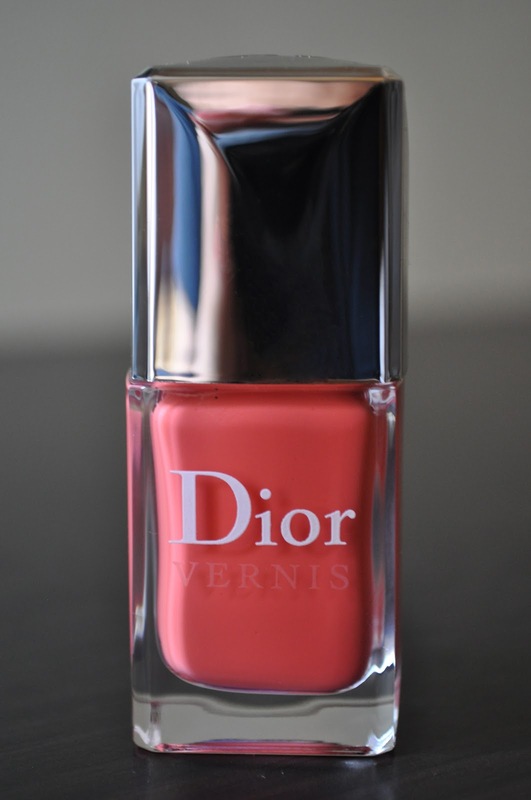 I'm just head over heels in love with this polish and it's definitely a must have in my book!!! 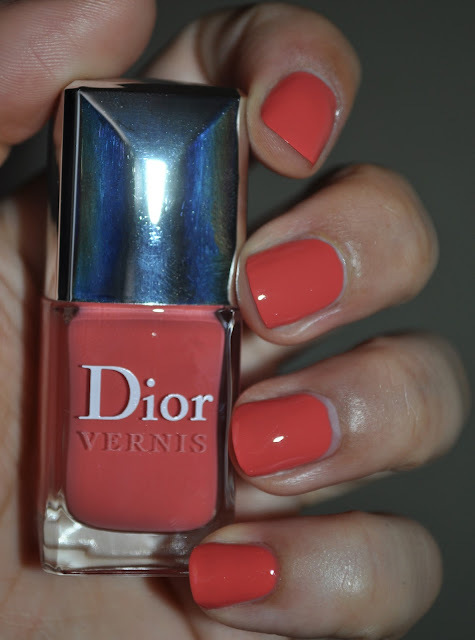 What's your favorite coral polish? this is totally perfect for summer, looks amazing on you! this is definitely a must have! That is beyond gorgeous! 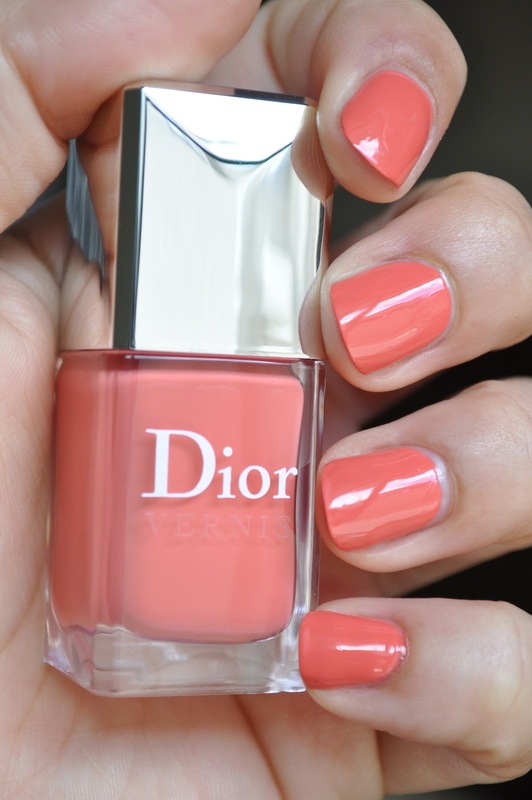 I've been looking for a peachy-salmon color for ages and this is it. This is definitely it Maria! also, the application is a dream!! I have to tell everyone that when I finish a film and it goes out and is released, I never look at my films again. I don't like looking back. I don't even like talking about 'em! So I'm really digging back in my memory because I don't like to sit and look at my films again. This is so fabulous! The color is slightly varied in the different lighting but I am absolutely loving it! Ari, this is right up your alley! You need this woman!!! Sorry to hear about your accident, hope your fingers are feeling better.